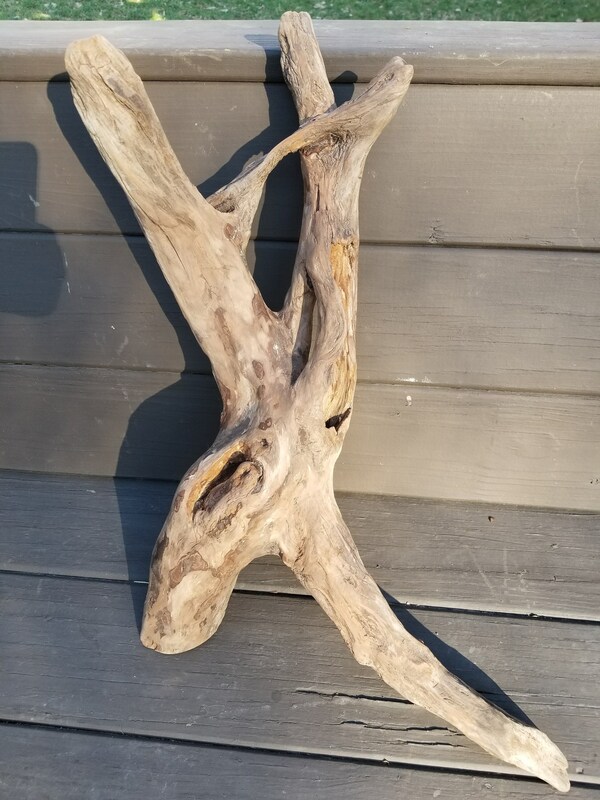 X Shape Driftwood Root. Aquarium Decor Fish Tank Art. Sturdy and Heavy Hardwood. Aquarium Safe. 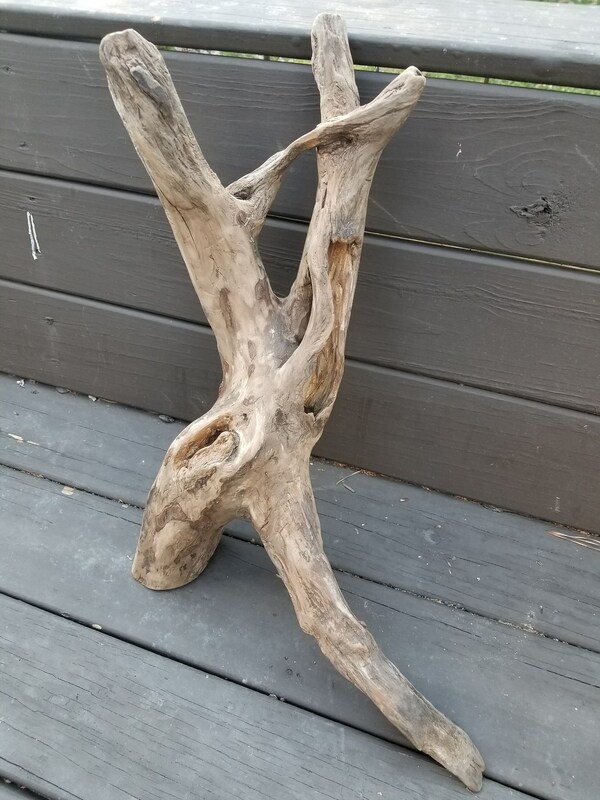 This very interesting driftwood root has an excellent X shape with intersecting branches that for natural openings. I've removed all bark and sanded this piece. 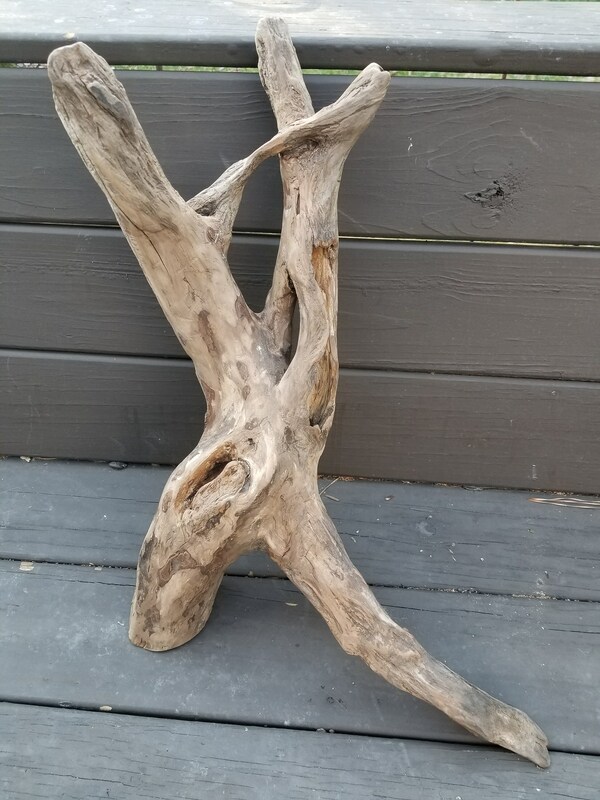 It is sturdy and would make a dramatic centerpiece for an aquarium or terrarium. Dimensions are 24"L x 14"W x 9"D. Weight is 4 pounds. 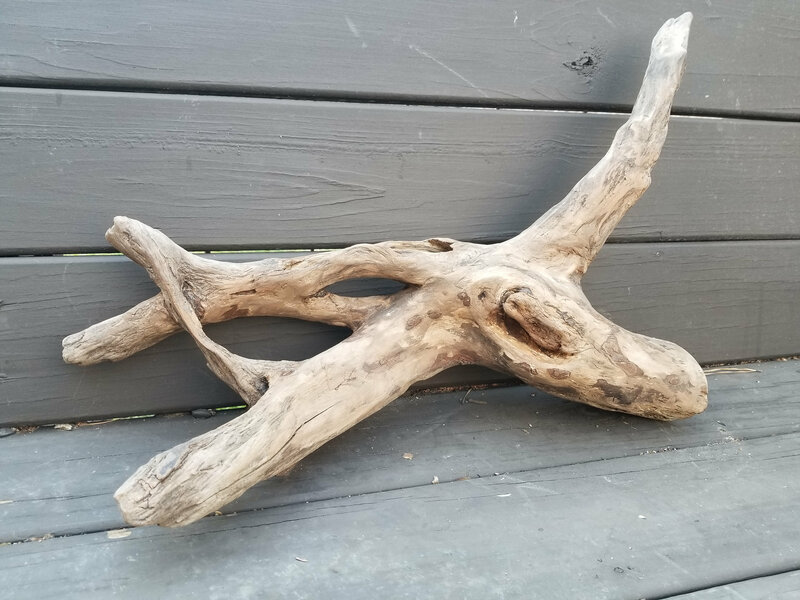 Why buy from Good Driftwood? - I collect and clean every piece. 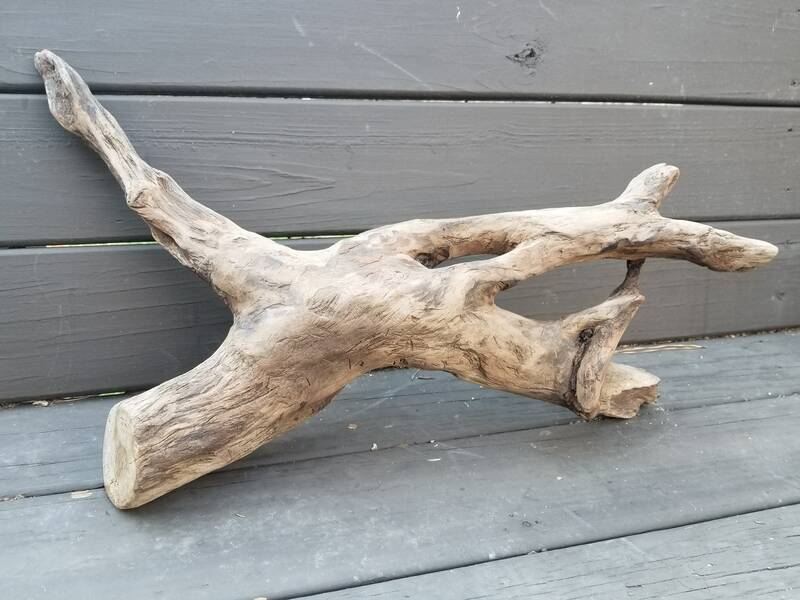 - All of my driftwood comes from freshwater lakes and rivers. 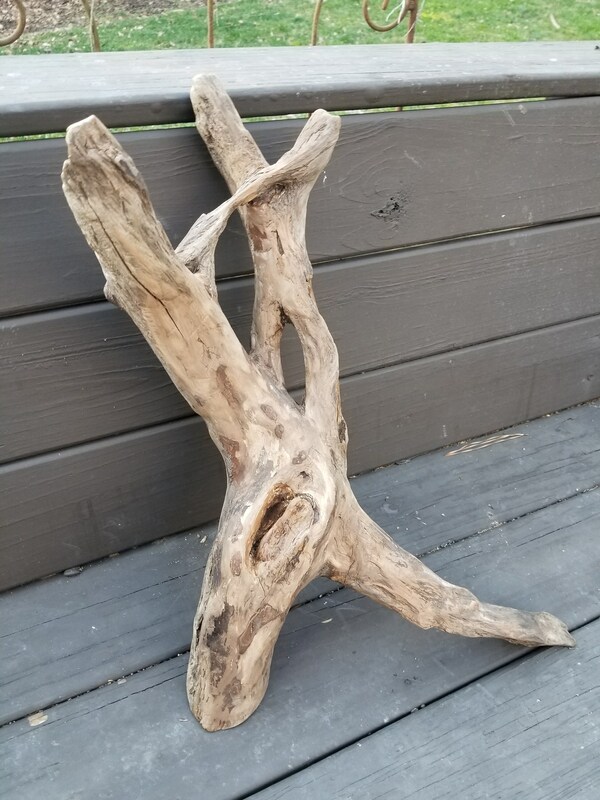 Saltwater driftwood is fine for home decor but requires extra soaking to remove salt and mineral residues for aquarium use. - I identify cedar and pine in the title and description of relevant listings. Both are great for home and garden use however, cedar can be toxic to reptiles and many aquarium owners avoid both cedar and pine. Always know what you are putting in your tank! - 30 day return policy. No questions asked. - I combine shipping when possible on multiple item orders. If you are purchasing multiple items, please contact me, I can usually get the shipping below what Etsy quotes. - Have a question or request? Please ask. I can install hanging hardware, trim or modify pieces on request.